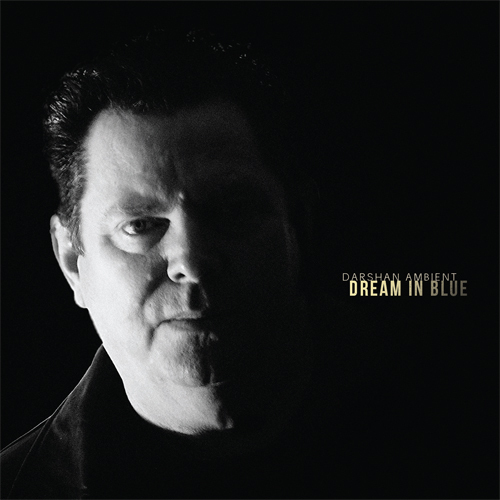 On Darshan Ambient’s Dream In Blue, Michael Allison’s melodies and harmonization are sublime, and his rhythms, while complex, evoke a sense of effortlessness that leave the listener engaged and fulfilled. 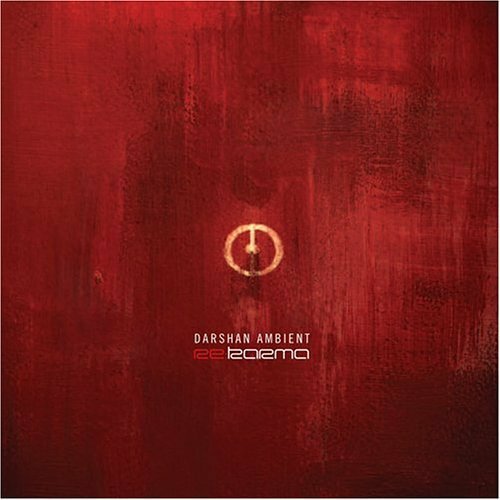 At times, the album brilliantly weaves Jazz motives through ambient forms, while never abandoning the compelling, signature style of electronic music for which Darshan Ambient is known. The diverse selections range from the upbeat ‘Sun Fade‘ through the melancholy trumpet solo of ‘Silent Smile (Angelo’s Song)‘ to the pure ambience of ‘Waiting On A Dead Man’s Horse,‘ which could almost be at home on an ambient opus written by electronic legend Brian Eno. Through all, Michael Allison’s musical sensibilities make Dream in Blue a profoundly enjoyable experience from beginning to end. Michael Allison, who records as Darshan Ambient, has had a widely varied career, from playing in rock bands with the likes of Richard Hell to knocking out 80s post-punk pop to crafting melodic New Age and ambient music. Now, with Dream in Blue, he sets his sights on his jazz influences, notably Miles Davis and John Coltrane, and creates a soft-edged fusion CD that’s quite simply one of the best releases of 2011. Allison warms up the listener with ‘Upon Reflection,’ which starts off feeling like it would be at home on previous releases like A Day Within Days or Autumn’s Apple–a cool downtempo groove with twinkling keys and what sound like electronic drums. As you listen, though, the drumbeats begin to change, becoming analog and picking up more of a shuffle-and-crash affair with an unmistakable jazz pedigree. It’s a ‘welcome to Dream in Blue’ moment that gets reinforced as soon as the trumpet kicks in on the next track, ‘When Will My Someday Come?’ (A nod to the classic Miles version of ‘Someday My Prince Will Come.’) This is a straight-up jazz track with a live-combo feel that belies the fact that everything here is played by Allison, from from keys to drums to trumpet to guitar. And let’s talk about the guitar, not just here but through the disc. While on this track it’s got a viable classic jazz tone, mathematically perfect runs picking out the melody, work your way toward ‘Sahara Sun’ to hear Allison unleash his six-stringed beast across drumwork that would do Art Blakey proud. The track works even more due to the quiet, pastoral melody ambling innocently along in the back as the guitar builds to a wild, fuzzy howl that drops out at exactly the right time. He shows his guitar’s soulful side as it smoothly dovetails with a classic slow-beat rhythm section on ‘As You Were.’ (The bass here is thick enough to chew–just the way I like it.) The guitar trades leads with piano, played with late-night-lounge cool. The piano is at its most stunning on ‘Silent Smile (Angelo’s Song).’ A romantic solo line slowly picks up quiet strings and bass. 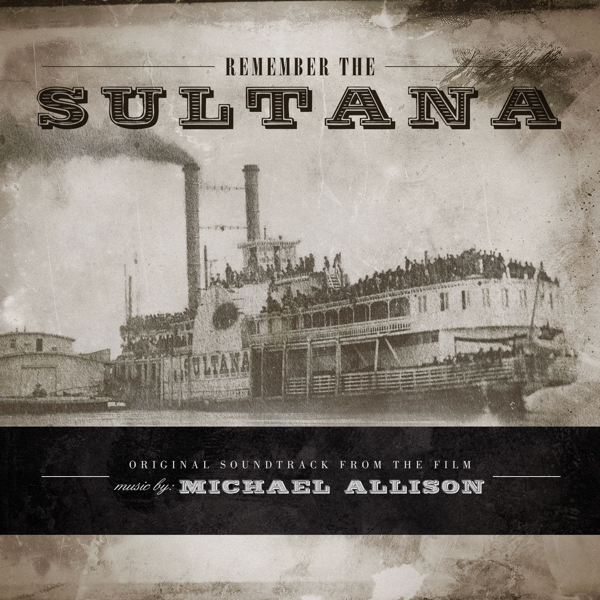 Midway, Allison brings in the trumpet, high and proud, to speak a short phrase that feels weighted with true emotion. In the last 30 seconds he reverts to solo piano save for one final chord. An amazing track. I like that Allison also keeps his ambient side in play here with the meditative ‘Waiting on a Dead Man’s Horse,’ with its long, watery pads and ringing wind chime tones. Dream in Blue is a high point in the Darshan Ambient story, a tale that’s been growing stronger with every new release. 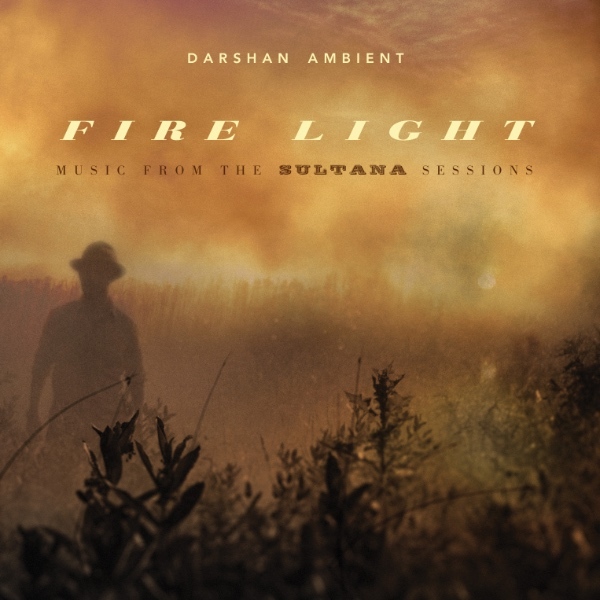 I think it’s a shame that Darshan Ambient is one of those wonderful secrets this genre community has been keeping to itself. This is a disc with crossover potential, the potential to expose more people to its cool fusion of styles that, in the end, simply add up to one very enjoyable, moving and beautiful CD of instrumental music. An ambient electronic homage to Miles Davis and John Coltrane, ‘Dream In Blue’ cruises along with spacious jazz-based grooves, hinting at the exotic Indian and African notes of these masters. Still, this falls more on the 'ambient' side, rather than 'jazz', per se. 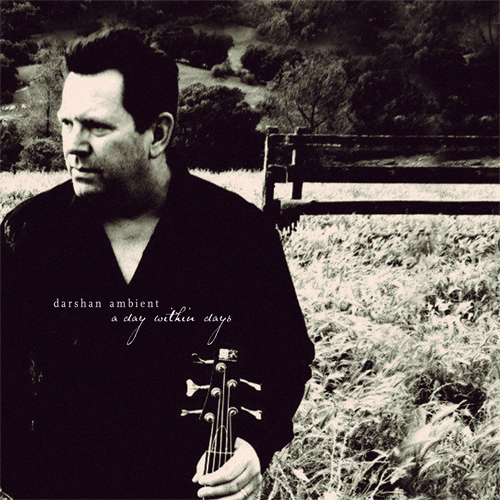 Darshan Ambient's Michael Allison evokes similar moods to his heroes, while retaining his own identity. Lovely and recommended. 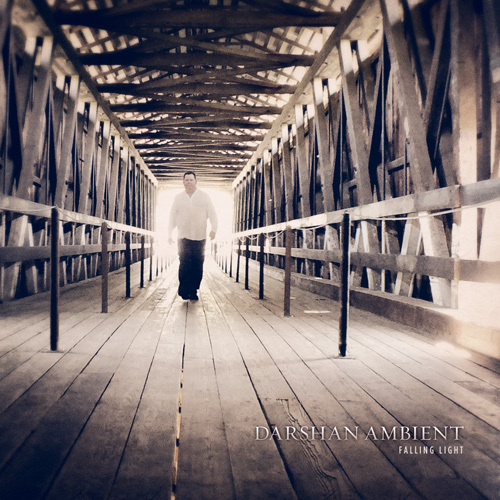 The opening track, ‘Upon Reflection’ begins with the kinds of synth pads, bass lines and electronica grooves we’ve come to expect from Darshan Ambient, ever since his days of releasing his music on MP3.com. Then, at two minutes he introduces us to the concept of the album with an ostinato bass line and ride cymbal drive that take this into the terrain of electric Miles. Yet there’s no doubt this is Darshan Ambient, as electric piano tolls against guitar triplets and melodic synth hooks. Change is what you might expect from a guy who started out playing bass with artists like Nona Hendryx and Richard Hell. Despite those credits, Allison was no member of the ‘blank generation.’ His sources were more like Patrick O’Hearn, Steve Roach, King Crimson and Brian Eno. Dream in Blue alternates more typical Darshan tracks with his jazz-inflected moods. ‘Mirage’ may be the most haunting piece, with a delayed bass line thudding though a landscape of yearning slide guitars, whirling synths, pizzicato strings and echoing duduk. It’s a track that shows you the promised land, but the trip is dark and ominous. It’s Miles Davis’ tone-painting that’s the biggest influence on Darshan Ambient’s Dream in Blue, but he includes a few more overt nods to the iconic artist. ‘When Will My Someday Come’, a play on ‘Someday My Prince Will Come,’ a tune famously covered by Miles Davis, uses trumpet over a jazz-tinged rhythm section. ‘Silent Smile’ uses a gospel-hued piano theme to stage a soulful trumpet interlude. Dream in Blue is an album that plays with expectations. 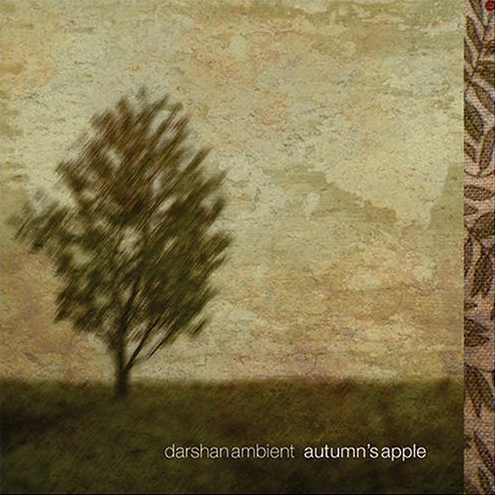 ‘A Letter from Home’ could be from one of Darshan Ambient’s more ambient recordings, with pensive piano over textures that hover like fog. Then jump to ‘Sahara Sun,’a very stylistically different track with a progressive rock rhythm and a ripping guitar solo that recalls Steve Hackett. 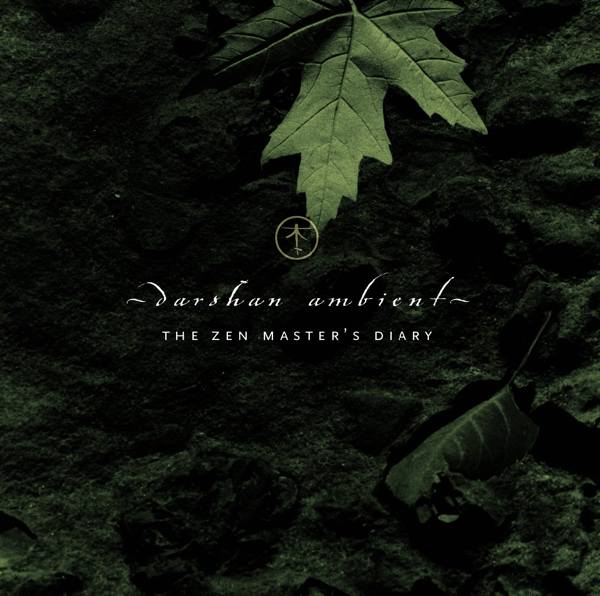 Although the music of Darshan Ambient is not inevitably what gets closer of most styles that I listen to, his works radiate of an attractive aura which we can explain with difficulty. It’s like a love at first sight that we can’t justify the nature but of which we can explain its reason. I was deeply seduced by his last album A Day Within Days , an album where the soft rhythms and the atmospheres at once rural and ethereal were close to pretty good elements of tenderness and melancholy. And Dream in Blue does not escape this poetic approach of Michael Allison. For his last opus Darshan Ambient visits the patriarchal lands of New Orleans. Its bayous and its spirits fill by the fragrances of a centenarian jazz which caress the soft sighs of a more romanced approach than a purely electronic one. Fine floating strata introduce the intro of ‘Upon Reflection’ which gets alive by guitar notes rolling in a soft spiral over a fusion of oniric layers, caressing at passage sober percussions which force a rhythm full of retained. The melody which goes out of it is beautiful. It frees delicate arpeggios which sing in our ears when the rhythm tumbles with a fury dictated by an approach of free jazz. Free percussions and a good bass with oblong and sinuous notes feed a rhythm which rolls in minimalist loops to bicker a lyrical envelope which dwells upon all along Dream in Blue. ‘When will my Someday Come’ offers a jazzier musical envelope with nice breaths of trumpets which are melting into a blues’ soul guitar. 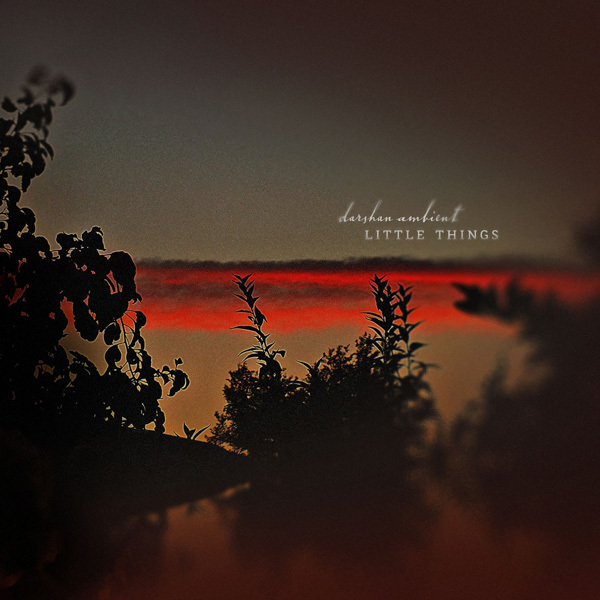 Mixing skilfully his jazz influences with a more electronic approach Darshan Ambient sprinkles his compositions with mellotron choirs and mists, adding a particular dimension to Dream in Blue. 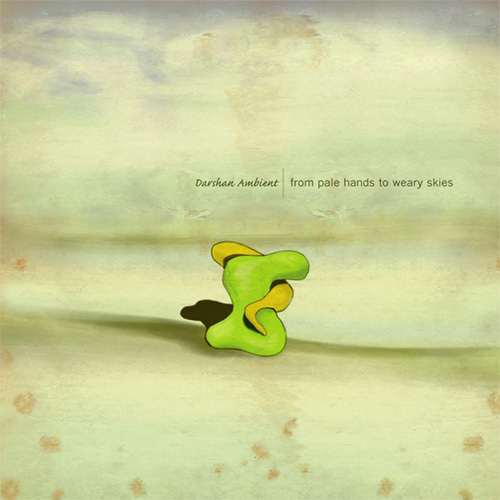 We also observe this tendency on ‘Ghosts of Africa’.’Mirage’ is a good intriguing music piece which floats between ambient and a slow rhythm of the Bayous where some good mi spectral and mi oniric strata are complaining on the back of a bass from which the heavy oscillations soak into Patrick O'Hearn sensual and mysterious moods. ‘As You Were’ pursues this incursion in the roots of the old jazz with a beautiful romance fed by a piano which makes dance its fine melodious notes around a bass and a guitar as much charming as dreamy. The rhythm is soft and soaks into the spheres of a soft Lounge bar mood decorated by fine layers of a foggy synth. Sometimes this fusion of jazzy rhythms with vaporous and dreamy synth layers awakens memories of Vangelis in Blade Runner. ‘A Letter from Home’ is my first very favourite. It’s a long ambient title forged in the ashes of melancholy where wrapping strata float and roam, surrounding a wonderful contemplative romance fed at knocks of notes from a nostalgic piano which goes in the soul with the beauty of its wandering. A fine fluty ode appears, caressing the sighs of glances and confirming the very great beauty of ‘A Letter from Home’.’Silent Smile (Angelo’s Song)’ is another pearl for soul. Solitary, poignant and intensely deep, the piano drops its pensive notes which are recovered by a superb synth fill by breaths of trumpets and violins strings. It’s another great track, such as the very somber and ambient ‘Waiting on a Dead Man's Horse’ which is very near Brian Eno’s soils. A good melodious approach pierces the dark introductory veil of ‘Sun Fade’. As the piano, the guitar is soft and pensive. It crosses its notes and releases its groaning strata in the curves of a nice bass and a synth with hatched pads. The essence of the Bayous comes from this rather cheerful title. With its fluty synth pads and guitar solos which shout and complain around free percussions, ‘Sahara Sun’ is the most intense title of Dream in Blue. 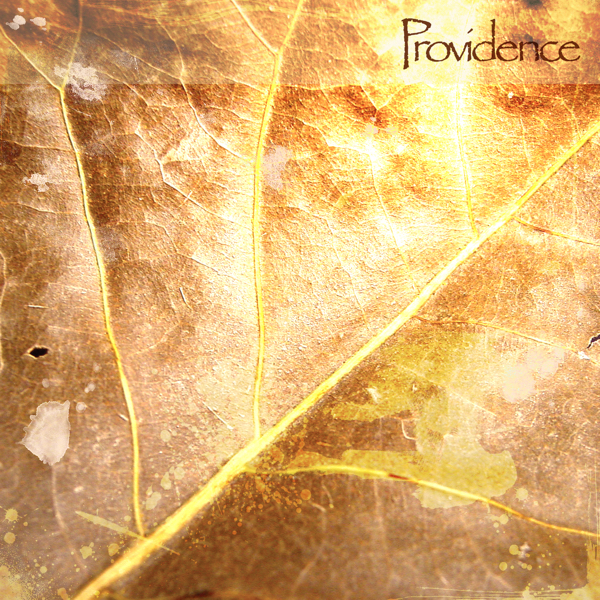 The melodious ascent is astonishing and the rhythm has to nothing envy to some great tracks of progressive rock. And the guitar is simply marvellous. We would believe to hear Steve Hackett s incisive solos. 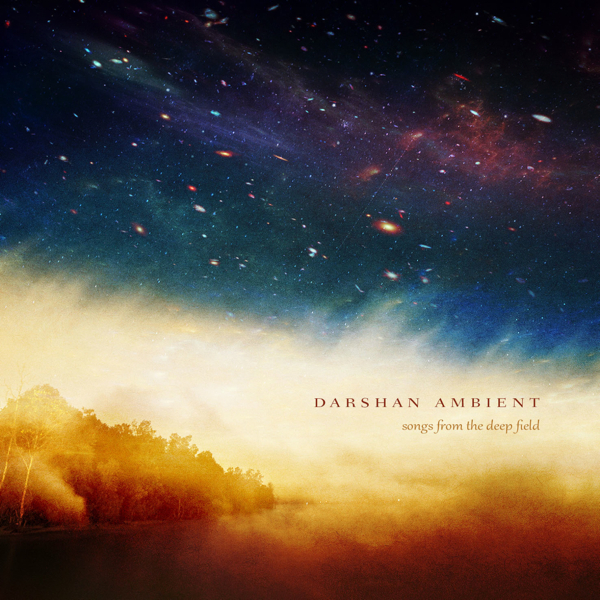 Navigating between an uncertain rhythmic approach, ethereal ambiances and contemplative melodies, ‘Dream in Blue’ is no more and no less that a faithful musical portrait which crisscrosses this other very beautiful work from Darshan Ambient.